With no sharp point, this completely safe, easy to use compass is more accurate than most standard pencil compasses. 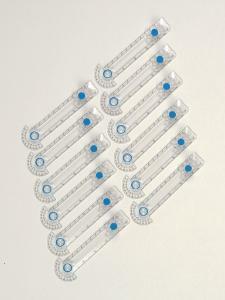 It measures in both inches and cm while the built-in protractor can read to the nearest 5°. For use with any pen or pencil.